Leading producer and marketer of superior cannabis for recreational and medical use – Captor Capital Corp.
Captor Capital Corp. is a vertically integrated cannabis company listed on the Canadian Securities Exchange, OTC USA and the Frankfurt Stock Exchange. We cultivate, manufacture and distribute recreational and medical marijuana based products to consumers through our leading brands and dispensary retail stores. Captor Cannabis is a leading producer and marketer of superior cannabis for recreational and medical use. Our primary focus is to provide our customers with easy access to a wide selection of products supported by excellent service. Captor stores are stylish, comfortable and designed for your enjoyment. Our diverse team are there to answer any questions you need and help you have the best experience possible. Explore and learn about top marijuana brands and their stores. We are focused on top-end brands that are trendsetters and innovators in the cannabis space. Explore our collection of leading recreational and medical marijuana products available through our premium retail stores. Discover a wide range of cannabis products for recreational and medical purpose. All our products are carefully crafted, cultivated and manufactured. Captor invests in high technology production facilities to ensure the quality, safety, and supply of its recreational and medical cannabis products. We manufacture cannabis and cannabis-derived products providing white-label/private-label services to major legal cannabis brands in California. Captor targets strategic locations for its distribution facilities to provide products to its stores as well as 3rd party operators. Explore and find information on a wide variety of premium cannabis strains for recreational and medical use. Our strains are thoughtfully chosen to create new and innovative products for our consumers. Cannabis Sativa is known for its more psychoactive effects. Excellent for mood elevation, anti anxiety and production. Sativa tends to be longer, thinner buds with a more flowery aroma. Sativa is commonly known as a “daytime’ effect. Strains include: Sour Diesel, Jack Herrer and Super Silver Haze. Hybrids are a combination of the Cannabis Sativa plants and the Cannabis Indica plants. Each strain will lean either way in their percentage numbers. With a hybrid, a person is able to tailor the effect more towards personal specifications. A sativa dominant will allow the upper, energetic effect, with a little pain relieving relaxant. An indica dominant, will allow a more relaxing feel, with an anti anxiety effect. Due to the predomination of cross breeding, most strains on the market today are hybrids. Strains include: OG Kush, GG #4 and White Widow. Cannabis Indica is known for its more sedative, relaxing effects. Excellent for body aches, increase in appetite, calming of anxiety and sleep purposes. Indica tends to be shorter, rounder buds with a more earthy smell. 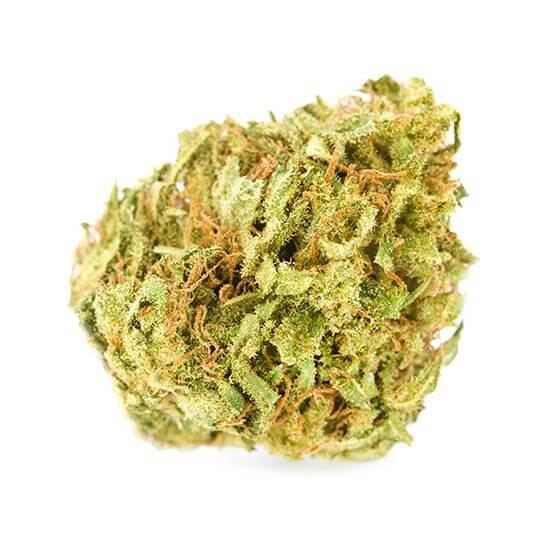 Indica is commonly known for a more ’nighttime’ effect or ‘couch lock’. Strains include: Afghani, LA Confidential and GrandDaddy Purple. Pure CBD strains derived from Cannabis plants, as opposed to Hemp plants, have been shown to help with many medicinal benefits. The anti-inflammatory and natural calming agents help with stress and relaxation, without the psychoactive effects of THC. Strains include: Harlequin, AC/DC and Cannatonic. This statement has not been evaluated by the Food and Drug Administration. It is not intended to diagnose, treat, cure, or prevent any disease.